KARACHI: The Ho Mann Jahaan (HMJ) team is leaving no stone unturned in promoting the film. In fact, it wouldn’t be wrong to say that the makers have set new benchmarks as far as marketing of Pakistani movies is concerned. 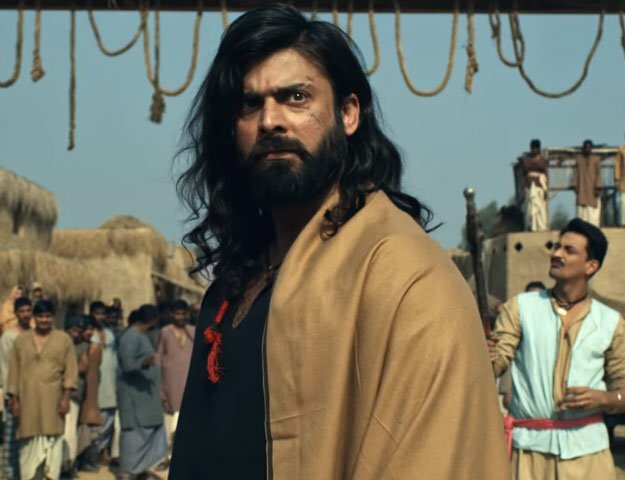 And although we have seen Mahira Khan, Sheheryar Munawar and Adeel Husain actively attending press events, visiting colleges and even walking the ramp (or rather dancing on the ramp to this year’s blockbuster hit Shakar Wandaan), there’s one lead actor from the cast who seems to be missing in action. Well until recently. It’s Sonya Jehan of course. If you have been wondering why Sonya is not attending any promotional events for the film, fret no more! We met with the talented actress and asked her everything you want to know, about her and about her debut Pakistani film Ho Mann Jahaan. The reason why Sonya has been absent at HMJ promotional events is because she lives in Delhi now (her husband is Indian) and has returned just this week. “I am extremely excited, very nervous and very humbled. But I couldn’t have asked for a better team to work with for my first Pakistani film,” Sonya told The Express Tribune when asked how she feels about making a debut in the Pakistani film industry nearly 10 years after the release of her first film — Bollywood historical drama Taj Mahal: An Eternal Love Story. “I have worked with Asim [Raza] in the past many times on commercials. He is a thorough gentlemen, he is extremely talented, a perfectionist. He really believes in his art and craft. It’s always nice to work with people like him,” she added. But let’s get into the thick of it and find out what we all really know want to know: How does her character fit in a movie’s plot that appears to revolve around three friends played by Mahira, Sheheryar and Adeel? “My character’s name is Sabina. She is an independent, very strong woman. She is not married. She is fierce, knows what she wants out of life and she runs a restauraunt. That’s about it,” she said. Hmm… Not quite the answer we were hoping for. So we probe her further. Is she related to the other three lead characters? It appears from the posters and trailer that HMJ could be a love triangle between Mahira, Sheheryar and Adeel. Is it? “It might not be a triangle, it might be a square. Could it be a square?” Sonya says, making it even more difficult for us to crack the mystery. So we give up and move to our next question. As we know, Sonya had an important role in My Name Is Khan – perhaps the biggest Bollywood film at that time. How different is Indian cinema compared to the revived Pakistani film industry? Sonya added that she enjoys working on small projects where she can build a relationship with her team. “People might love the film or they may hate it, but as an actor what you take is the experience shooting it and for me that is the most important,” she said. She also spoke about her experience of working in My Name Is Khan. “It was Shah Rukh and Kajol’s big comeback film. Amazing! When I look back now I say ‘wow! what a crazy experience’. But I took out more from a small budget film like Sudhir’s,” she said. Does that mean more Pakistani films for her in the future?